Beautiful entry-level condominium only three years old. This accommodating Amherst model features two large bedrooms, two full baths, nine-foot ceilings, high-efficiency furnace and water heater, and an upgraded kitchen with Stainless Steel appliances, 42-inch cabinets, granite counter tops, and ceramic-tile floor. The lovely screened-in patio is the perfect setting for summer evening relaxation. 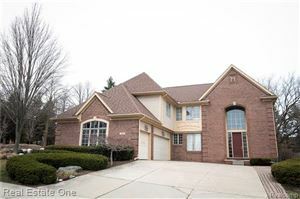 Minutes to downtown, shopping, expressways, UM campus, hospital, and stadium. Spacious complex with well-kept grounds and lower township taxes. The data relating to real estate properties on this website was last updated as recently as 4/23/19 2:53 PM PDT.